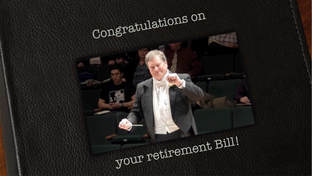 When Dr. William Wakefield opened the door and entered the stage of his retirement concert he encountered a full house of his friends, students, colleagues, and his protégés. What took place when he lead the Wind Symphony was nothing less than magnificent, and is recorded here for your enjoyment. ​Without doubt, after 32 years as the Director of Bands, the University and his ensemble will feel his presence for many years to come. Wind & Rhythm had the privilege to capture the event so that wind band enthusiasts can enjoy his mastery for years to come. 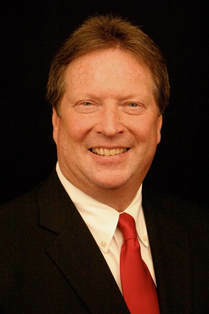 The interview with Dr. Wakefield took place hours before the concert and the testimonials were recorded at his reception. It is obvious that all music lovers (except a few “cranks”) loathe genuine folksong and shun it like the plague. No genuine folksong ever becomes popular—in any civilized land. Yet these same music-lovers entertain a maudlin affection for the word “folksong” and the ideas it conjures up. So they are delighted when they chance upon half-breed tunes like “Country Gardens” and “Shepherds Hey” (on the borderline between folksong and unfolkish “popular song”) that they can sentimentalize over (as being folksongs), yet can listen to without suffering the intense boredom aroused in them by genuine folksongs. Had rural England not hated its folksong this form of music would not have been in process of dying out and would not have needed to be “rescued from oblivion” by townified highbrows such as myself and my fellow-collectors. Irish Tune from County Derry (1918) is one of Percy Grainger’s first contributions to the wind band repertoire. Three versions of this piece existed before the concert band version, including a “wordless” choral version, an arrangement for solo piano, and a setting for string orchestra consisting of “one or two horns (at will)” (this setting would later be turned into a full orchestra work with a full set of winds). Though stated to be set for “military band”, this terminology was used by Grainger as it was understood in its contemporary usage: to be a mixed ensemble of woodwinds, brass, and percussion as opposed to the traditional idea of military bands as it relates to the all-brass British bands. The roots of Symphony No. 4 are many. The central driving force is the spontaneous rise of the impulse to shout for the joy of life. I feel it is the powerful voice of the Earth that comes to me from my adopted western Montana, and the high plains and mountains of central Idaho. My personal experience of the voice is one of being helpless and tom open by the power of the thing that wants to be expressed – the welling-up shout that cannot be denied. I am set aquiver and am forced to shout and sing. The response in the voice of the Earth is the answering shout of thanksgiving, and the shout of praise. Out of this, the hymn tune "Old Hundred", several other hymn tunes (the Bach chorales "Only Trust in God to Guide You" and "Christ Who Makes Us Holy"), and original melodies which are hymn-like in nature, form the backbone of Symphony No. 4. This production was conceived as a tribute and gift to Dr. Wakefield. That means the concept (vision) is all our own. And by “our” I refer to the people who have spent an amazing amount of time putting it together for all who will take the time to enjoy the features of this presentation. It is truly Dr. Wakefield’s story, his genius, his spirit that we honor.